Moto has been a great brand for its quality and time to time updates. After coming into the Lenovo brand, Moto has not changed that much. Moto Z2 Force is the flagship smartphone of Motorola. The device was launched on 26th July with Dual Cameras as the main spotlight feature. 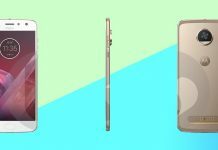 Moto has implemented Dual Camera setup on their smartphone for the first time. Moto Z2 Force, the name ‘Force’ itself says that it’s going to be a well-built smartphone and the Z-edition also remind us with their ‘Moto Mods,’ which is a mark for these devices. Moto Z-editions considered as well-sold smartphones in the markets. Many other brands are coming up with their flagship models, but Moto has been unique in bringing flagships in the market. The design of the Moto Z2 Force is not that a significant change from the previous Moto Z and Moto Z2 Play models and are just made some minor upgrades to improve it in trivial ways. Moto Z2 Force features a 5.5-inches (1440 x 2560 pixels) Quad HD resolution POLED ShatterShield with a shatterproof screen. As we know, AMOLED display’s are the best in the market, and Moto Z2 Force nails it with a 534ppi of pixel density with sharp and clear content. The device also has Always-On display like the ones on Samsung’s and can be power efficient as it is an AMOLED screen. The flagships launched this year came with bezel-less displays on board, but Moto didn’t go in that way. Moreover, the display’s shatterproof protection will help it to stay away from screen cracks, scratches, etc. due to accidental drops. The Moto Z2 Force is a device powered by the latest and greatest 2.45GHz Octa-Core Qualcomm Snapdragon 835 Mobile Platform with Adreno 540 GPU. The Snapdragon 835 is the processor which has been launched on many flagship devices this year, and Moto Z2 Force has also made it on the list to be powered by it. The performance is top-notch, and you can expect the fastest smartphone using experience through this chipset. Gaming and multitasking can is done at blazing fast speeds. It also plays an important part on the camera side, as it makes the image process very well. Moto Z2 Force comes with 4GB RAM and 64GB of internal storage. The storage will be more than enough for low to moderate usage. Heavy users can get more storage as Moto has done a decent job by giving a MicroSD card slot with expandable memory up to 2TB. The camera on this device is a remarkable upgrade. 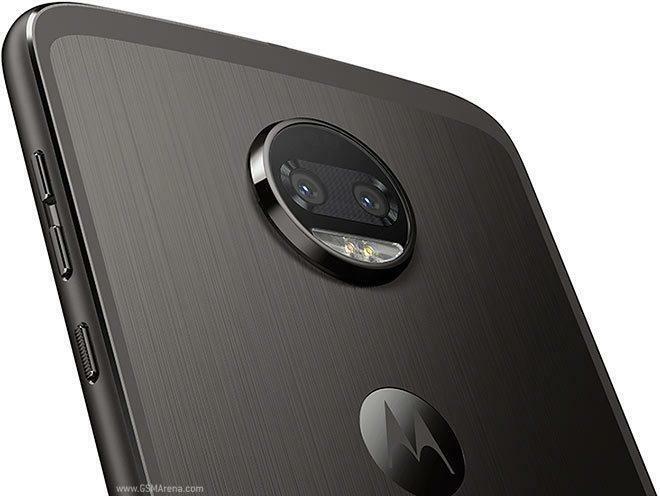 On the rear, Moto Z2 Force features a 12MP Dual Sensor cameras with one sensor being Monochrome and other a Colour. The sensors of this device are Sony IMX386 sensors. It has a f/2.0 aperture with a 1.2um pixel size and laser focus. The sensor is also capable of 4k video recording. In our testing, we saw better results than the Moto G5 Plus. On the front, it has a 5MP sensor with dual-tone LED flash. The aperture of the sensor is a f/2.2. Selfies on the device will come out very good, and the 85-degree wide angle lens helps out to take group selfies better. The battery on this device comes with a 2730mAH. The smartphone is supposed to have Turbo Charging. It makes recharging of battery at a short time. You can feel the battery is a bit less, but due to its thin body, they have to keep it a bit small. You can experience longer battery life as the processor is very efficient and can last for a day or two. The battery capacity is lowered up to 30% from the previous models but you can mods at the back for more battery life. This year, Moto has showcased their new Moto 360 camera in Mods. All though, there were other five new Mods also which are ROKR Mod for improving audio output through 3.5mm jack. JBL SoundBoost and now SoundBoost 2 speakers are already available in the market. And a DSLR Mod for DSLR features a the tip of your fingers. The other one is a Moto Insta-Share Projector. And other shells are given below. These Style Mod shells help your smartphone to charge wirelessly as the Moto Z series doesn’t come with that feature out of the box. Style Mod Shell comes in various colors and supports fast charging. GamePad Mod shell is made in partnership with Lenovo. This Mod helps you with extra controlling as this Mod features joysticks, a directional pad, trigger buttons, and a lanyard loop. It has some LED lights on the Pad and the power for it is drawn from a dedicated 1,035mAh inbuilt. JBL in partnership with Moto has come up with this Mod. This Mod helps to add an external modular speaker on the back of the device for greater sound quality. It comes with built-in battery and has a playback time of 10-hours. The SoundBoost 2 is also a splash resistant device with a kickstand on the back. Moto 360 camera is the special one, as it can Shoot, edit, and share 360° video, audio, and images (with an ultra wide-angle 150° field of view) — right from your phone. It is like an action cam and can be used for outdoor shooting while in action and can also rotate in either way. These Mods are specially made for the Moto Z series and can be attached to the back of the device through the pins given. The Mods are a bit on the expensive side, and the 1st generation mods can also be used. All these Mods are priced above 200USD. Moto Z2 Force came out on 25th of July at the #hellomoto world event in New York. They also launched their new Moto Mod for the year. The other device details have also addressed in the event. The Moto Z2 is available in Fine Gold and Super Black colors. The device is only available in US markets as of now. You can pre-order the device for a price tag of $799.99 without the contract. The Moto 360 Camera is priced at US$299.99 and will be made available globally on August 10th. P.S. Motorola is also expected to launch Moto X4 and Moto G5S Plus in coming months.